A bright, spacious cafe with a wide range of mouth-watering foods and snacks including homemade cakes, tasty lunches and main meals. 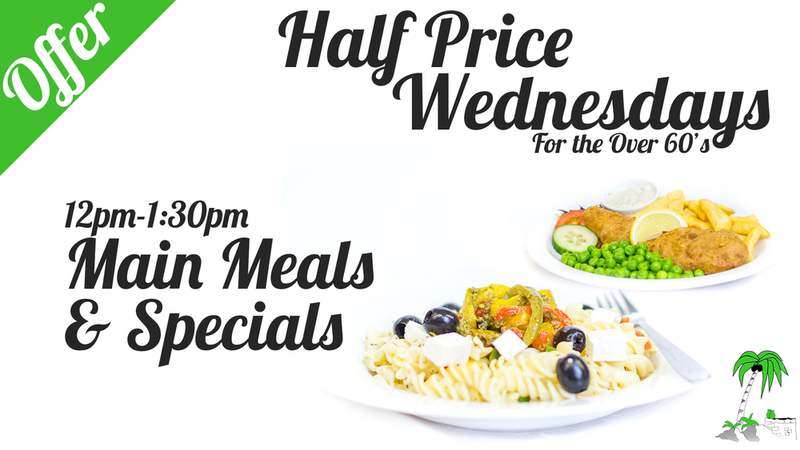 Tea/Coffee, main meals and Wednesday's special are half price! We now accept both credit and debit cards as well as contactless payment options.